Describe the role of truck transportation within commerce (the movement of goods, funds, and information). Describe how trucks fit into a company's supply chain. This could be a manufacturer, importer, wholesaler, or retailer. On paper, map out how goods that are manufactured overseas are transported to a retailer in this country. Find out what kind of maintenance program the company follows to help keep its fleet, drivers, and the roadway safe. Find out how dispatchers maintain communication with drivers on the road. Talk with a professional truck driver about safety. Learn about the truck driver's rules of the road for safe driving. List five safe-driving rules every professional truck driver must follow. Review the driver's log and find out what kind of information the log contains. Learn about important federal regulations that help ensure public safety. 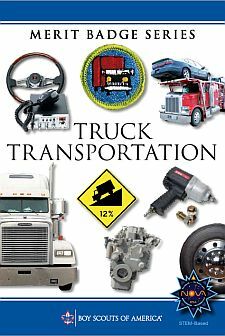 Outline the general organization of a trucking company. Describe what each department does. List five positions with trucking companies and describe each one.